In memory of Emily Norman Davidson. 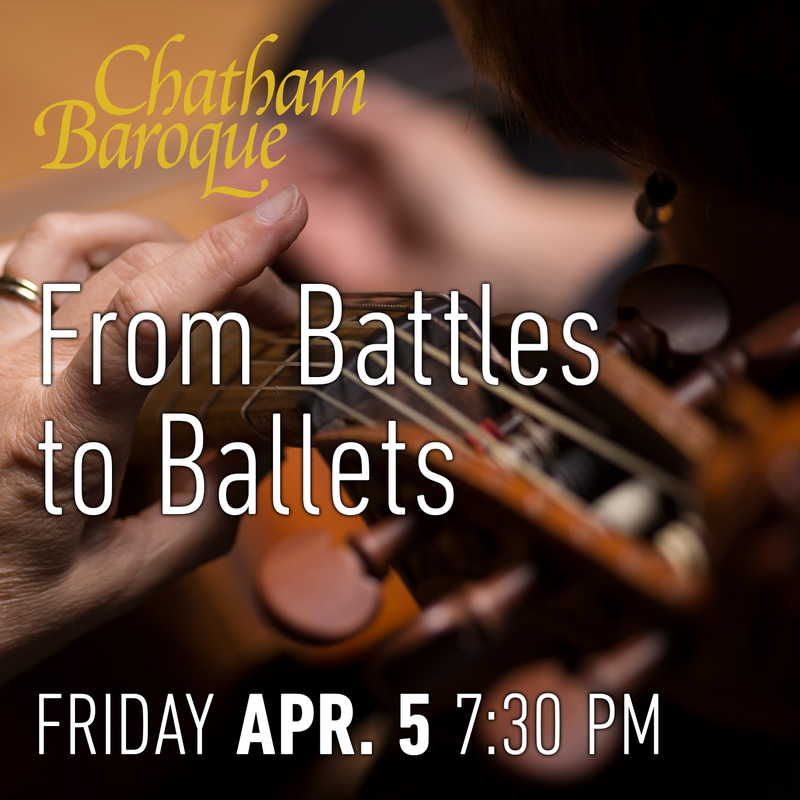 This program of seventeenth-century music deploys a veritable army of musicians. 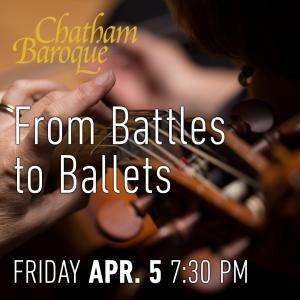 A band of two baroque trumpets, nine strings, continuo, and percussion explores the exhilarating, programmatic music of armed conflict known as battalia, in contrast with the beauty and charm of baroque dance as portrayed in whimsical balletti. Music of Heinrich Biber, Philipp Jakob Rittler, and Johann Heinrich Schmelzer.